World Bank applauds Fashola’s power plan, offers financial support – Royal Times of Nigeria. 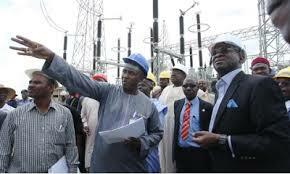 The World Bank and some multilateral agencies in Washington have applauded the power sector recovery plan of the Minister of Works, Power, Housing, Mr Babatunde Fashola, and have offered to render financial support. The Minister of Finance, Mrs. Kemi Adeosun, who disclosed this as the head of Nigeria’s delegation to the World Bank-IMF meetings in Washington, USA, also reassured Nigerians that the cash recoveries being made by agencies of government in President Muhammadu Buhari’s anti-corruption drive will not be re-looted. She quoted the World Bank and IMF as saying that Fashola’s power sector recovery plan is realistic. 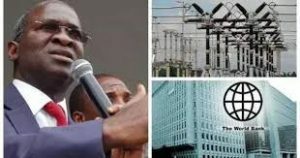 In a meeting with the agencies, Fashola was said to have presented the power plan, which was approved by the Federal Executive Council, FEC, only about a month ago. Adeosun explained that the power sector recovery plan looked into all the problems affecting the nation’s power sector, ranging from generation of power to distribution of power as well as the problem of metering. She noted that the multilateral agencies pledged their financial support because those investments are tied with Nigeria’s Economic and Recovery Growth Plan as a lot of factories that have closed down can re-open if there is power in the nation.